Kintaro is a full-service, all-you-can-eat sushi and hot pot restaurant just off I-480 off Ridge Road. Everything is made to order. 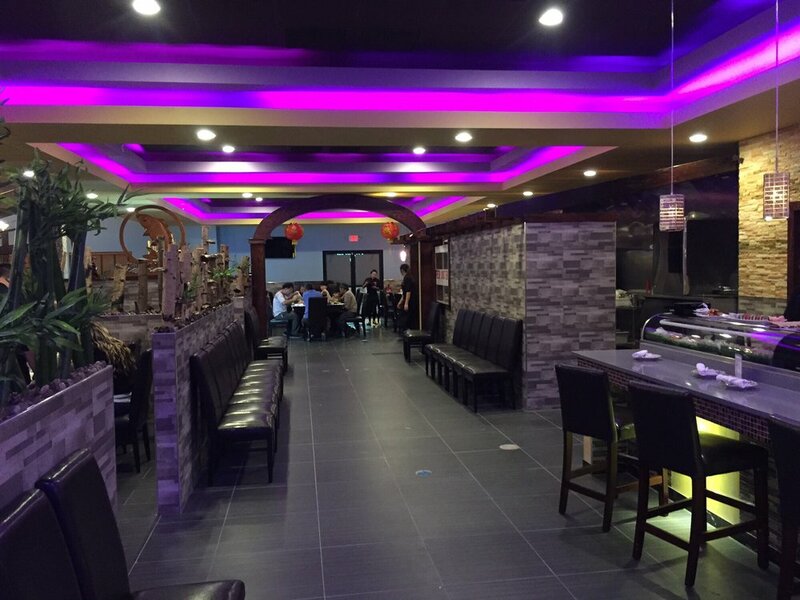 The place has been recently renovated and has two separate dining areas as well as a sushi bar. Both sides are bright and cheerful, with some stone dividers, neon lighting and lots of bamboo and wood decor. Upon entering, you can choose between sushi and hot pot, although you can opt out of the all-you-can-eat deal to order menu items individually or order the all-you-can-eat sushi on the hot pot side if you are dining with friends who want hot pot. 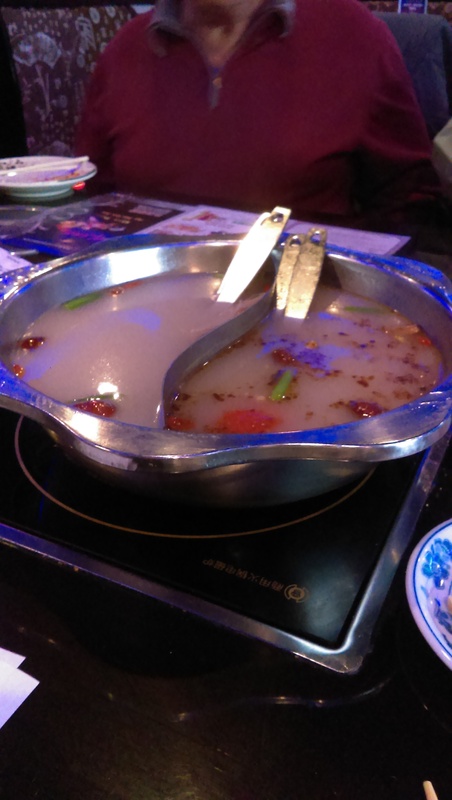 Hot pot is a fun way to eat with friends. 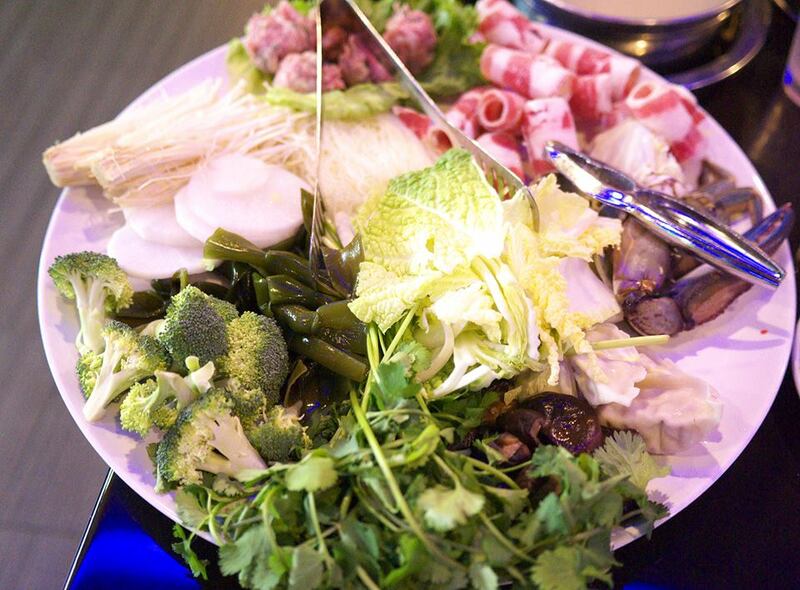 The tables have inset hot pot burners, and you choose your menu items, ranging from the broth, vegetables and fish and meat. The fish and meat choices range from pork, fatty beef, chicken, crab, clams, several fish choices, lunch meat and dumplings as well as more adventurous items like beef tripe, pork stomach, quail egg and cuttlefish balls. They also offer 28 vegetarian ingredients. You also choose your noodle to enjoy with the broth at the end of your meal. Choices include instant ramen noodles, potato vermicelli, udon, rice noodles or some fun noodles like a wide, crystal clear noodle that my friend Nancy ordered and enjoyed. There is also a sauce bar where you can choose from various soy sauces, “Kitaro sauce,” oyster sauce, sesame oil, hot chili sauce, cilantro, scallions, etc. to flavor your broth. You have two hours to eat your hot pot, and they encourage you to be discerning in your choices by threatening to charge by the pound for waste. The real deal is at lunch. The all-you-can-eat sushi and hot pot will run you about $25-26 at dinner (and you can upgrade some hot pot items for a total of $32), but it is only $11 for hot pot and $15 for sushi at lunch (11 to 2:30 Monday through Saturday). The lunch sushi and hot pot choices aren’t as varied as at dinner, but there are still plenty to choose from. The first time I went I chose the all-you-can-eat sushi during lunch. You are given a menu and check off on the menu what you want. For $15 I enjoyed a miso soup, salad, several pieces of nigiri, tempura, an eel hand roll, and a Jeep specialty roll. As you can see from the left, it was a lot of food (and all-you-can-eat is usually a joke for me because I get full quickly on a good day – I’m their ideal customer). Apart from the tempura I enjoyed it. The tempura was very bland in my opinion. Yes, I know you need to dip it in a sauce, but it should have at least some underlying flavor. The sushi was fresh, and the server was very personable. I ordered it in several stages, and barely finished the specialty roll (my last stage). If you want something more filling like hibachi or udon noodle or a rice bowl, you may want to just order a small appetizer, your entree and then see how you feel. I was stuffed from my lunch choices, but I was very happy with what I ordered. For me I need the miso soup and salad for a sushi meal. Others might choose to skip it. My friend who came to join us for hot pot during dinner ordered just sashimi and as few rolls with rice as she could to get the most bang for her buck. I thought that was a little crazy, because with sushi the rice is just as important as the fish in my opinion. But to each their own. And that is the beauty of this place – each person can order just what you want or you can choose to share. 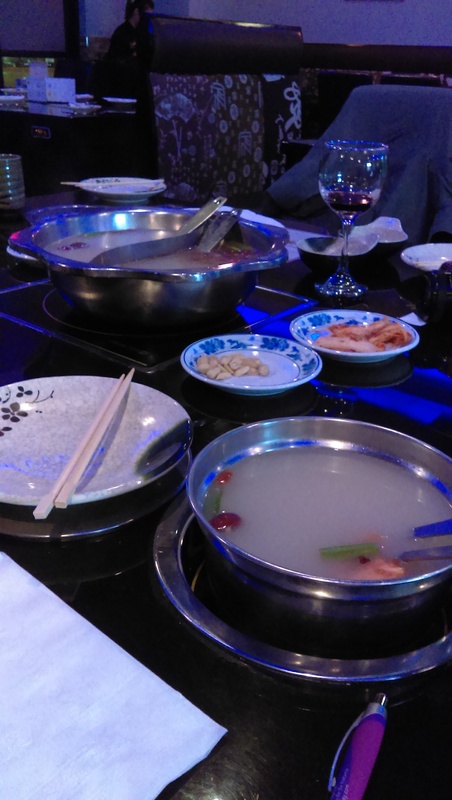 Our hot pot dinner adventure was a lot of fun. Since I was sick, my friends suggested I get my own pot. They then shared two broths. We all ordered the Chicken Broth, and they also ordered the Sha Cha broth, which was delicious (I took a sip from a fresh spoon). I’m definitely getting that next time. If you like spicy, they also have a Sichuan Spicy broth. I over-ordered the raw items, but luckily I only left vegetables and a little bit of fatty beef, so my server didn’t charge me the waste fee. But I would have been completely okay if he had though since it was my mistake thinking they would have small portions for one person. I also over-ordered thinking the broth would just be broth and would need some add-in flavor, but they added some things for flavor right out of the gate. I ordered the fatty beef, dumplings, cilantro fish balls, frozen crab, several kinds of mushrooms, broccoli, cilantro, Chinese cabbage, and bean sprouts. I somehow got turnip on my plate instead of the black mushrooms (47 vs. 57 so write clearly on your paper). I would definitely skip the frozen crab. Since it was previously frozen it was very difficult to get the meat out of the shell. Go fresh or skip it. The fish balls were really good as well. My friend Nancy ordered the Fuchow fish balls and liked them better than my cilantro fish balls, which I enjoyed (I’m a big fan of cilantro). We tried choices off of each others’ trays, which was nice and added to the variety. I was not a fan of the Chinese sausage, for example. It had a cloyingly sweet taste, but she and her husband enjoyed them. I loved the dumplings the most. I dipped them in sauce after cooking them in the broth and, while they were filling, they had a really enjoyable flavor. 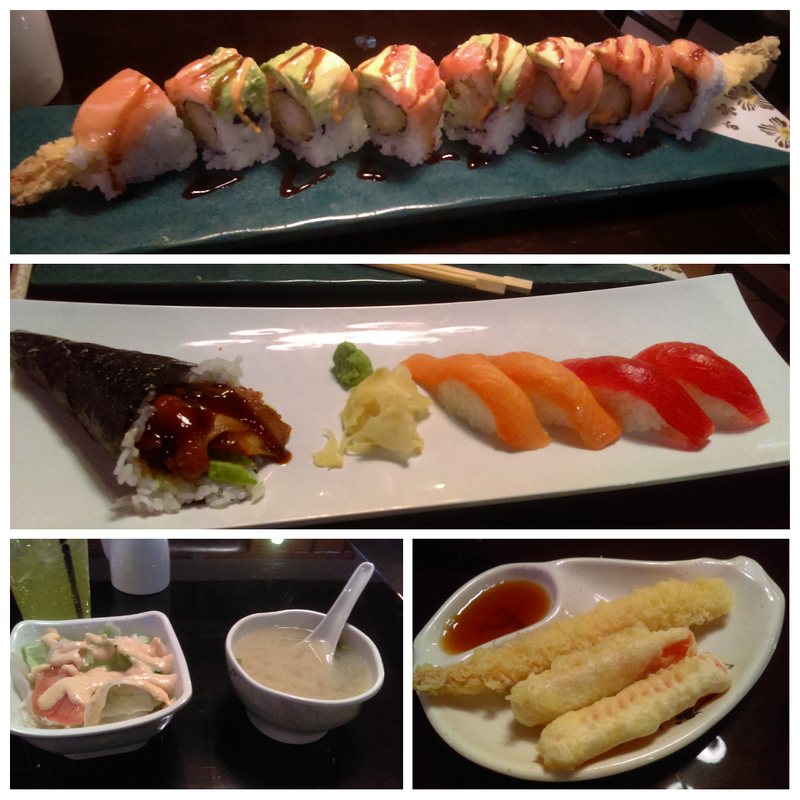 Even though it is all-you-can-eat, the quality at Kintaro was pretty good. It’s not Pacific East, Ginko or Ushabu, but you pay for that quality there. Nancy is a tough customer (having been to China), and she was impressed. I will definitely be going back at lunch, now that I know what to expect. I can see this going on my regular lunch rotation since it is such a deal. And if you are looking for a fun meal with friends you should definitely give this a shot. I think you’ll enjoy yourselves as much as we did.